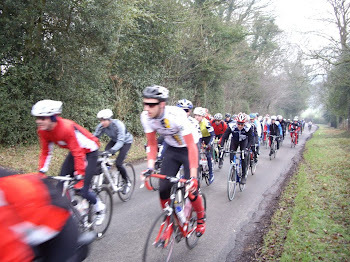 A few weeks back I participated in my first large scale organised cycle event. Apltly named the 'tour de nock', it takes place around Cannock a beautiful, very scenic location just north of Birmingham. As far as I am aware, the event is very much in its infancy, in terms of how long it has been going, but the organisation from the organisers at Cycle Shack, among others, was really good. It was just under £8 to enter via the website and there were three distances too choose from; 15, 40 or 60 miles. I of course chose to do the 60 mile course, thinking that it would be really good to pitch myself against some of the more serious riders from around that part of the country. I really wasn't dissapointed with any part of the day, particularly the challenge the course gave, with the first 30 or so miles made up of quick decents and the second 30 containing a few tough climbs. I really had a sobering moment, when after keeping up with the lead group for 52 miles, I then bottomed out on the final climb and lost touch with the entire group, who just seemed to continue on their merry way. Despite also looking like a complete novice, compared to others in my distance category, due to wearing football socks and fingerless gloves on a day when the temperature was hovering around 0oC, everyone was so friendly too. I managed to get chatting on to a few triathlon athletes who were in training and a few cyclists from different teams from around Cannock. I found out about the event through a guy called John Hibbs, who added me on twitter. 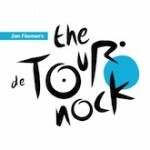 I noticed John had a big part to play in the Tour de Nock, and a couple of other more personal cycling challenges coming up in 2012. After delving into why he was doing them, it turned out he was raising money for his sister, who had a so far untreatable condition called Lupus. Lupus is something that I wasn't aware of until I actually read up on the reasons for Johns fund raising activities, but to very VERY breifly summarise Lupus - it causes the body’s immune system to go into overdrive and in turn begins to attack itself. It is believed that over 50,000 people throughout the UK suffer with Lupus of whom 90% are female.